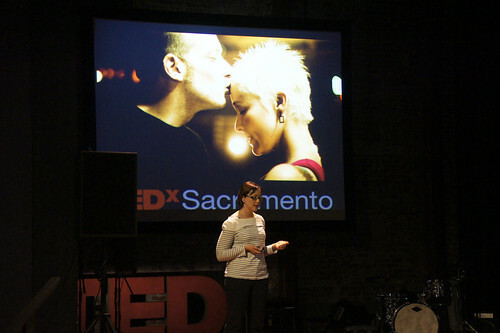 Just a quick note about the following post…My name is Olivia and I’m a volunteer with TEDxSacramento, in part because of the positive impact a TEDTalk recently had on my life. The post below weaves a tiny bit of that moment into my experience at TEDxSacramento’s Evening Salon. 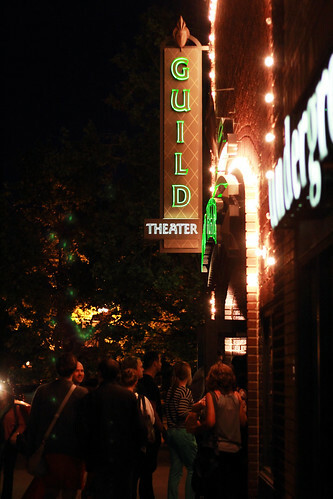 As the sun powers down over Sacramento, a line is ramping up outside the Guild Theater. I’m already inside the auditorium, exhausted from setting up tables, moving giant block letters and (almost) problem-solving on the fly. Despite it all, I’m excited. TEDxSacramento’s Evening Salon is about to begin. I pull out my laptop, and think back on how I came to be a part of this movement. In December I received a text message from a friend who knew intimately the struggles I’d been facing over the previous months. I clicked on the link she sent and listened as a TED speaker recounted her personal ascent out of shame, and into strength. She spoke about how negative self-perception is a creativity and life-killer and how, if you let them, these kinds of thoughts will own you. The singer of the Dresden Dolls, Amanda Palmer, is up next, appearing bigger than life on the TEDx screen. She tells the crowd that her unique time “passing the hat” as an eight-foot bride led to “profound encounters” and “intense eye contact” with strangers. At intermission, we break for a surprise “field trip,” where ushers direct us around the building and into the Guild’s courtyard. 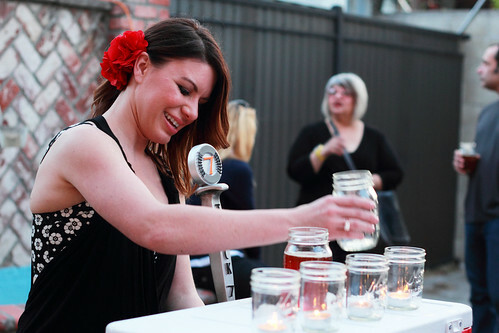 Candles, live music, sliders and mason jars filled with beer await already amped-up guests. It’s my job to mingle, and the patio is packed and buzzing. I talk with a long-lost friend and also meet a new one, Doreen Auger a newly minted TEDx evangelist. We skip all meaningless chit chat and by the end, I am inviting myself to join her Women’s Wisdom retreat and she offers me part of her chocolate cake on a stick. “It’s better to share,” she says. Back inside, speaker Liz Salmi couldn’t agree more. One week after her 29th birthday she was diagnosed with brain cancer and, with it, a 33 percent chance of survival. With no medical insurance and no idea if she was going to live, she started a blog, carefully set to “private" at first. Turns out, they were not. Supporters from all over the world found her words. Eventually they would call themselves the Liz Army and helped her pay for the medical treatment she needed to survive. They also found the encouragement they needed to survive. As I leave, I have a Cave Women song stuck in my head. I am high. Not from the beer, but from the Talks, the music, the dancers, the people I met... the whole thing. And in the spirit of “ideas worth sharing,” I immediately call my friend and tell her about the night she missed and in some way made possible.